A growing body of research has argued that the traditional categories of stopping and spacing are insufficient to understand why individuals want to control fertility. In a series of articles, Timæus, Moultrie, and colleagues defined a third type of fertility motivation—postponement—that reflects a desire to avoid childbearing in the short term without clear goals for long-term fertility. Although postponement is fundamentally a description of fertility desires, existing quantitative research has primarily studied fertility behavior in an effort to find evidence for the model. 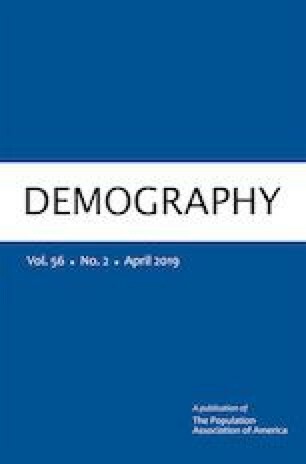 In this study, we use longitudinal survey data to consider whether postponement can be identified in standard measures of fertility desires among reproductive-age women in rural Mozambique. Findings show strong evidence for a postponement mindset in this population, but postponement coexists with stopping and spacing goals. We reflect on the difference between birth spacing and postponement and consider whether and how postponement is a distinctive sub-Saharan phenomenon. The online version of this article ( https://doi.org/10.1007/s13524-018-0754-8) contains supplementary material, which is available to authorized users. The data used in this analysis were collected with support from the Eunice Kennedy Shriver National Institutes of Child Health and Human Development (Grants R21HD048257, R01HD058365; Agadjanian, PI). This research was also supported in part by Ohio State University’s Institute for Population Research (P2C-HD058484). Earlier versions of this article were presented at the Carolina Population Center, the Institut national d’études démographiques, and the Institute for Population Research at Ohio State University. The authors thank participants and discussants at these seminars for helpful comments.